Located in the forecourt at Holiday Inn Potts Point. Open to the public and hotel Guests. 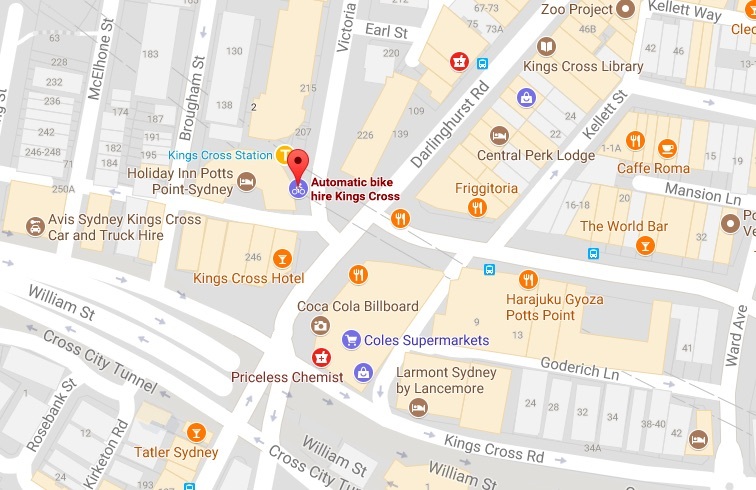 Bike hire Sydney or Hire a bike Sydney, Bicycle rental Sydney all available from our Automatic bike hire stations. Return the bikes to the same station. Free helmets and bike locks from Hotel Reception. Manly, take a ferry and follow the bike paths around the beach and lake.